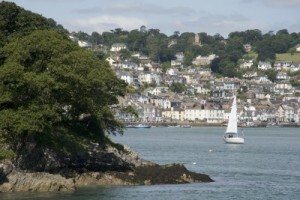 South Devon is a family holiday favourite with popular resorts including Torquay, Paignton, Brixham and Kingsbridge all close to some of the county’s nicest beaches. Stretching from the mouth of the River Teign towards Dawlish, dolphins are often spotted from this long sand and shingle beach. Teignmouth’s grand Victorian Pier is not to be missed and look out over the famous Jurassic Coastline. A safe and sheltered sandy beach with easy access. The long promenade with its colourful beach huts provides a level walk to both ends of the beach. A favourite with surfers, this fine sandy beach is backed by marram covered sand dunes and has lots of rock pools. It is situated at the mouth of the River Avon which is an Area of Outstanding Natural Beauty (AONB). A pretty beach that is a winner of the Blue Flag Award. Popular with surfers and bodyboarders, it is located in an Area of Outstanding Natural Beauty, it has beautiful sands and great rock pools to explore. Situated adjacent to Brixham, Breakwater is a small shingle beach. A favourite with divers because of its blue waters and its good facilities including a shop and restaurant with views over the bay. A must on any visit, Hope Cove is situated in an Area of Outstanding Natural Beauty. With a lovely sandy beach it’s perfect for a family day out. There are some small shops and a variety of charming restaurants can be found in the little villages around Hope Cove. Elberry Cove is a lovely place to visit with beautiful clear waters and an idyllic setting. Visitors can reach the shingle beach on a footpath from nearby Broadsands. Sidmouth beach is formed by a large expanse of legally protected pebbles. At its western end the beach has some lovely rock pools, and cliffs overhang the beach at the eastern end. An esplanade runs along its entire length. Perfect for children of all ages, this award winning sandy beach has rock pools and is a good beach for swimming. There is easy access for all as well as ample parking. 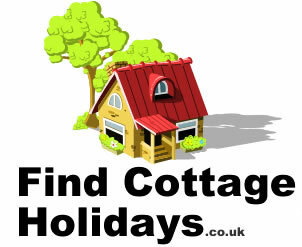 If you are looking for a last-minute self catering cottage holiday in South Devon then call 0345 498 6152 for the latest availability on holiday cottages, apartments, lodges and holiday parks.